The Senate today (Wednesday) directed Minister of Transportation, Rotimi Amaechi to withdraw the statement he made in Ilorin on Monday during the North Central Town Hall meeting by the Federal Government in which he claimed that the refusal of the National Assembly to approve the request of the government for foreign loan that will be used for counterpart funding was frustrating the construction of the Lagos-Ibadan and Ibadan-Ilorin-Minna -Kano rail lines. 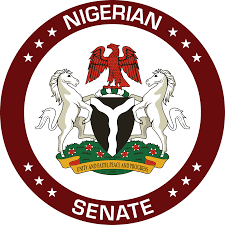 The Senate in a statement by its spokesman, Senator Aliyu Sabi Abdullahi, said the statement was not only false, misrepresenting and contradictory to available facts but that it also portrayed the Minister as not in tune with the position of the government in which he is serving. "As at today, the only request for approval from the Executive for loan was the one dated January 27, 2017 and signed by Acting President, Professor Yemi Osinbajo seeking a "resolution of the National Assembly For the Issuance of USD 1 Billion EuroBond In the International Capital Market For The Funding of the 2016 Budget Deficit" and we immediately granted the approval. "Also, in the letter quoted above, the Government mentioned the two rail lines cited by the minister as part of the projects for which the EuroBond will be utilised. So, we cannot understand what the grouse of Mr. Amaechi is. "We view that statement based on false and misinformed premise strongly as a mere attempt to incite the people against the National Assembly. The Minister should therefore withdraw that statement. Furthermore, the National Assembly will take up the matter with the Acting President, Prof. Yemi Osinbajo. "As a former Speaker of a state House of Assembly, we believe that a minister like Amaechi should always check his facts and refrain from making unguarded and inciting remarks against the legislature. "What Nigeria needs at this point is for all arms of government to work together and create the synergy necessary to take Nigeria out of the present economic crisis we have found ourselves. Comments designed to infuriate one arm of government or incite the people against another arm of the government will do no one any good and we do not expect such statements from a Minister in the present government", Abdullahi stated.